Reepham is an attractive Market Town situated on the B1145, 12 miles north west of Norwich with a population of around 2,700. 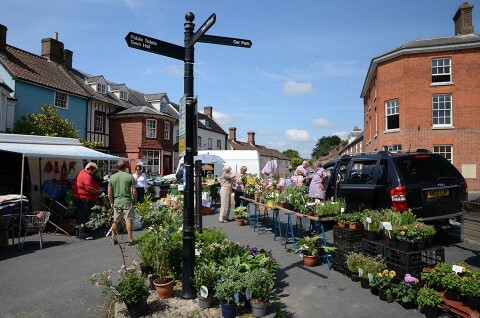 Set in beautiful country side between the Bure and Wensum valleys, the Market Place is the main focus of the town. 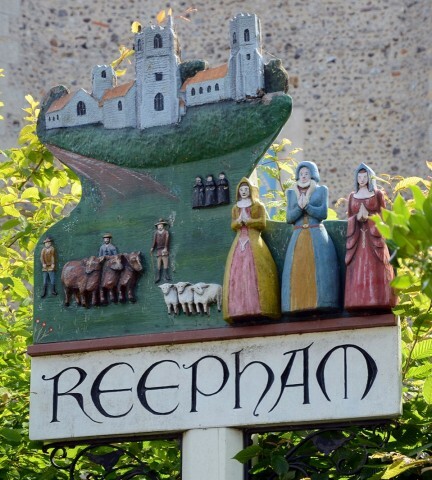 Reepham became a Market Town in 1277 when Sir John de Vaux, whose lordship of Hackford extended into the parish of Reepham, obtained a charter from King Edward I for a weekly market. A local market takes place every Wednesday morning. The Reepham town sign, designed by students from Reepham High School, was installed in June 1992. It shows a group of three churches, villagers, farm labourers, sheep, lambs, and ‘sisters’ and refers to the story that three sisters were responsible for building a church each! 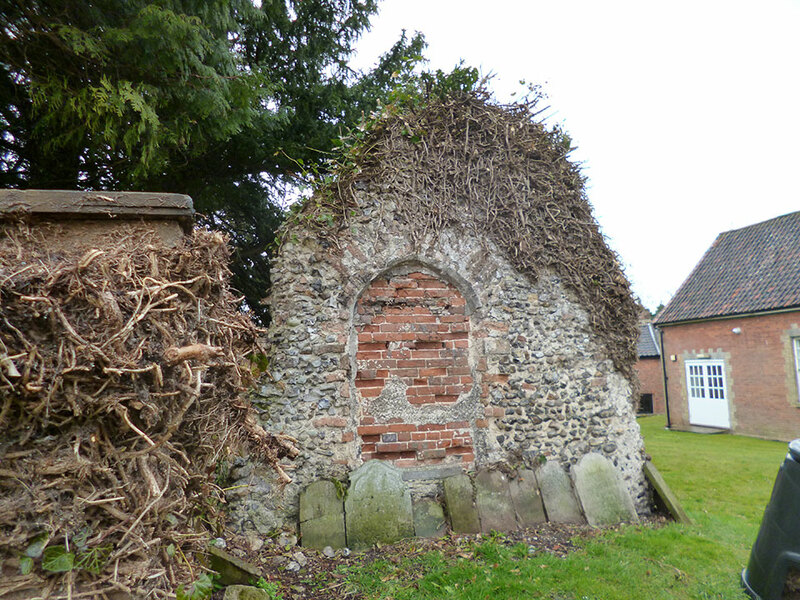 The town is unusual in that it once had three churches situated within one churchyard where the manors of Reepham, Hackford and Whitwell met. Two of the churches – St Mary and St Michael – still survive although the third church (All Saints) which belonged to Hackford, was destroyed in the ‘Great Fire of Reepham’ in 1543 and now only part of the wall survives. The Market Place was developed in the C18 with a coaching inn (The Kings Arms) and some attractive buildings. 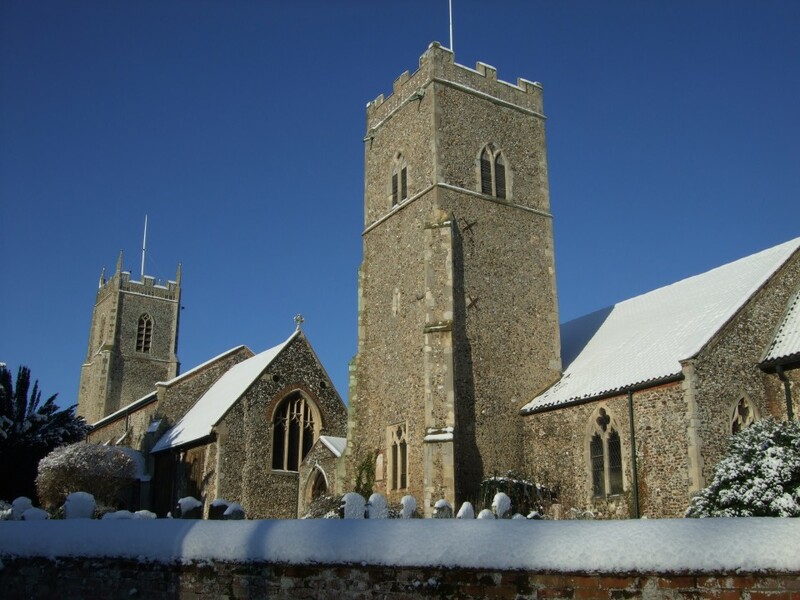 Reepham has a good variety of pubs, cafes and shops. 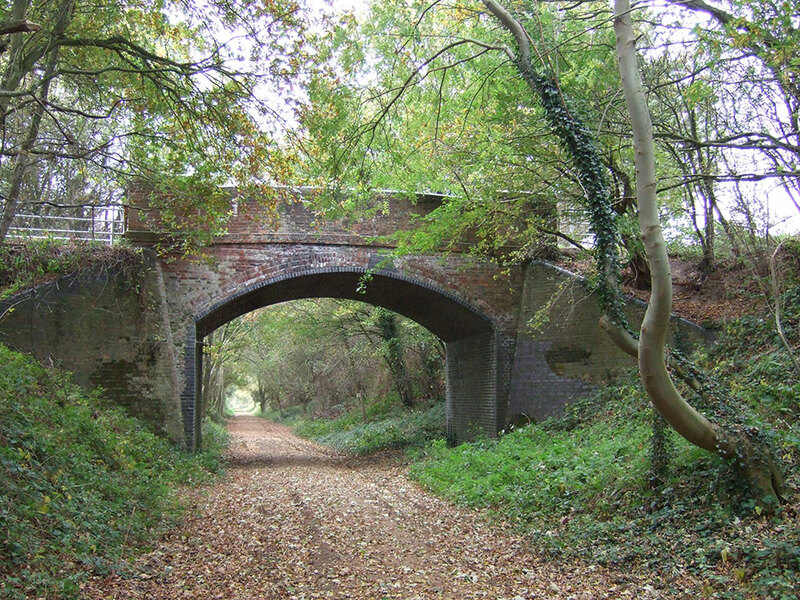 Information about these and Reepham’s other attractions can be found on Reepham Life page. The Marriott’s Way – a cycle and footpath along the lines of an earlier railway line – runs through Reepham. 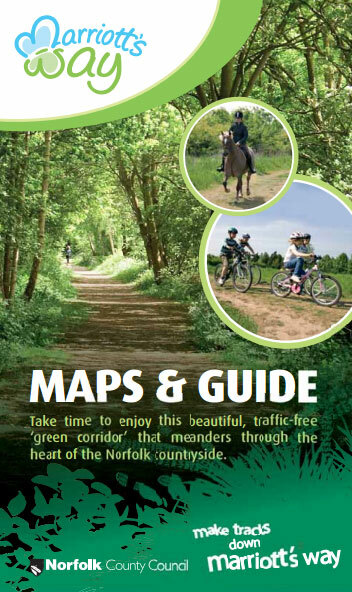 It has been described as ‘a delightful traffic free green corridor that meanders through the heart of the Norfolk countryside’. View leaflet (pdf).